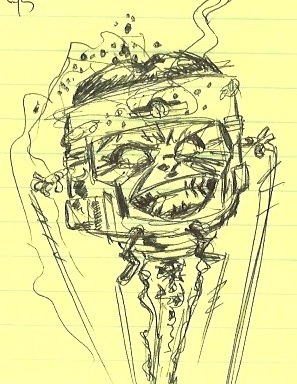 Beyer Beware Productions: MODOK Monday! Scratched the little big-guy out while waiting for the computer to render. He's such a crazy looking dude.